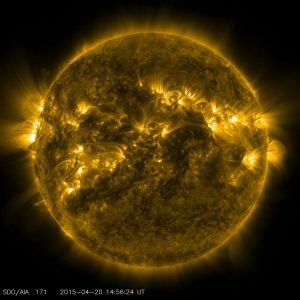 Solar neutrinos are exactly what they sound like: neutrinos from the sun. The sun is the source of most of the neutrinos that are passing through you at any moment. About 100 billion solar neutrinos pass through your thumbnail every second. Neutrinos are born during the process of nuclear fusion in the sun. In fusion, protons (the nucleus from the simplest element, hydrogen) fuse together to form a heavier element, helium. This releases neutrinos and energy that will eventually reach Earth as light and heat. All of the neutrinos produced in the sun are electron neutrinos. An interesting thing happened when scientists started looking for those electron neutrinos in the 1960s. Only about one third to one half of the predicted number of neutrinos actually showed up in detectors. This became known as the solar neutrino problem, and it took nearly four decades to solve it. It started with the Homestake experiment led by Ray Davis Jr. The experiment used 100,000 gallons of dry cleaning fluid (perchloroethylene) to search for neutrinos. It was housed a mile underground in the caverns of the Homestake Gold Mine in South Dakota, which was then an active mine and is now used for science experiments, including further neutrino research in the Deep Underground Neutrino Experiment. Davis’s scientific partner, John Bahcall, had predicted how many neutrinos should arrive from the sun and transform one of the chlorine atoms in the detector into an argon atom. But only one third of the neutrinos seemed to arrive. Researchers weren’t sure if the problem was in Davis’s experiment, Bahcall’s calculations and the current model of the sun, or their picture of neutrinos. Some scientists, including Bruno Pontecorvo, proposed that the neutrino model was the error, but many were skeptical. 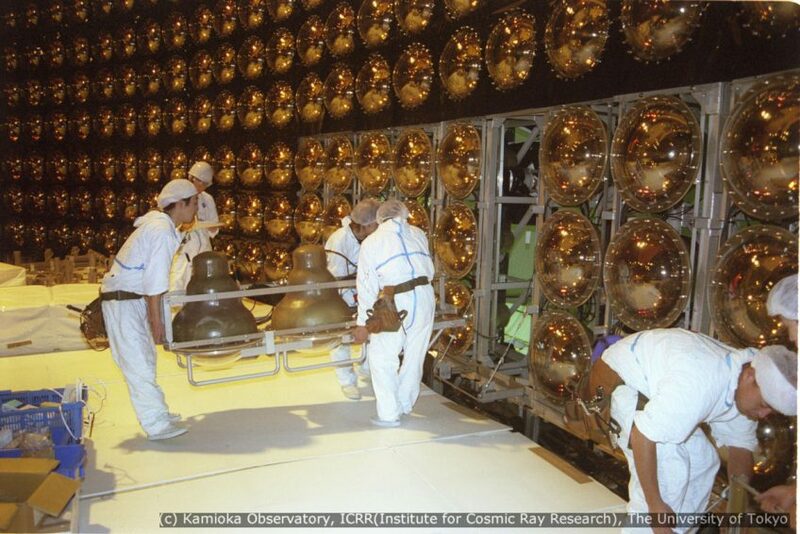 In 1989, the Kamiokande experiment in Japan added to the confusion. The pure water detector found more neutrinos than Davis’s experiment, about half of the predicted number. But there was still the question of all those missing neutrinos. 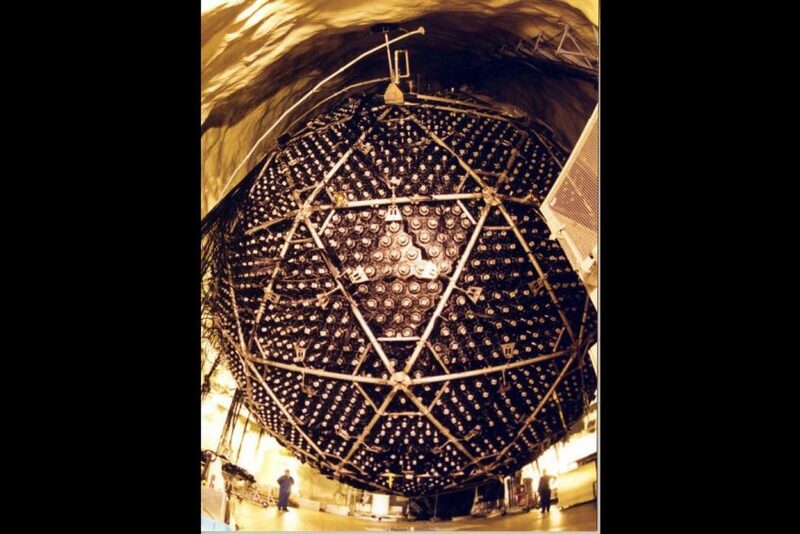 The GALLEX experiment in Italy and SAGE experiment in Russia also found that expected low-energy neutrinos were missing. As measurements of the sun improved and the solar model was validated, researchers looked more and more to new physics beyond the Standard Model to explain the neutrino deficit. The breakthrough came with data from two newer experiments. 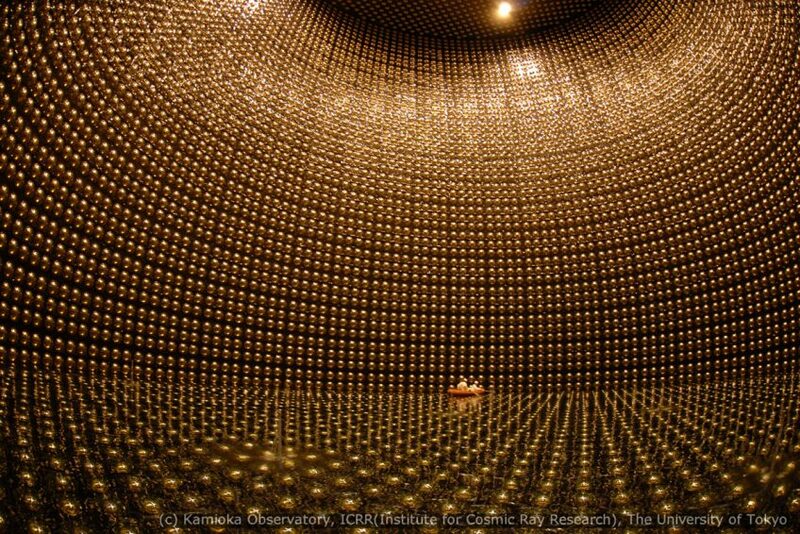 Super-Kamiokande, an improved version of the Kamiokande experiment, began observations in 1996, and the Sudbury Neutrino Observatory in Canada joined in 1999. Leaders of these two projects would go on to receive the 2015 Nobel Prize in physics for discovering the solution to the solar neutrino problem: neutrino oscillations. Roughly two-thirds of the electron neutrinos coming from the sun were changing their flavor as they traveled, arriving as muon or tau neutrinos. Evidence that neutrinos changed type also proved that they have mass, a shocking discovery not predicted by the Standard Model. Solar neutrinos still have much to teach us. For example, scientists can compare how solar neutrinos traveling through the vacuum of space differ from neutrinos traveling through denser areas such as Earth. 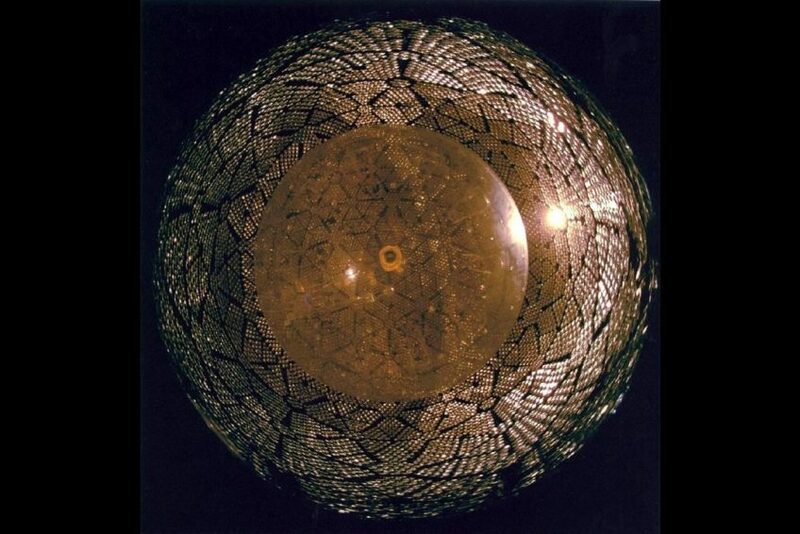 Such investigations bring information about the neutrino oscillation phenomenon. Solar neutrinos can also provide direct insight about the core of our sun. Neutrinos produced in the core of the sun do something you might not expect: They arrive at Earth before light from the sun (produced in the same reaction) arrives. This isn’t because neutrinos are traveling faster than light—they can’t. It’s because neutrinos interact so rarely with matter that they are able to escape from the sun’s dense core right away, while photons (the light particles) bounce around before getting free. The Borexino Experiment in Italy took advantage of this property and found that the sun releases the same amount of energy today as it did 100,000 years ago.